While I love nothing more than testing new beauty products and finding gems, I also think it's important to review products that I regularly use and have done for some time. I can't put an exact length of time that I've used this product as it's that long ago, I can't actually remember. But, I know for a fact that I used this throughout both my university and sixth form years so that's at least five years and maybe more whilst I was at secondary school. So I think it's fair to say that I've given this a fair testing and would recommend this product highly to anyone after a heat defence spray. Packaging is sleek and simple. The purple really pops against the black bottle and I especially like the spray lock (bottom photo) which stops the product leaking when travelling. 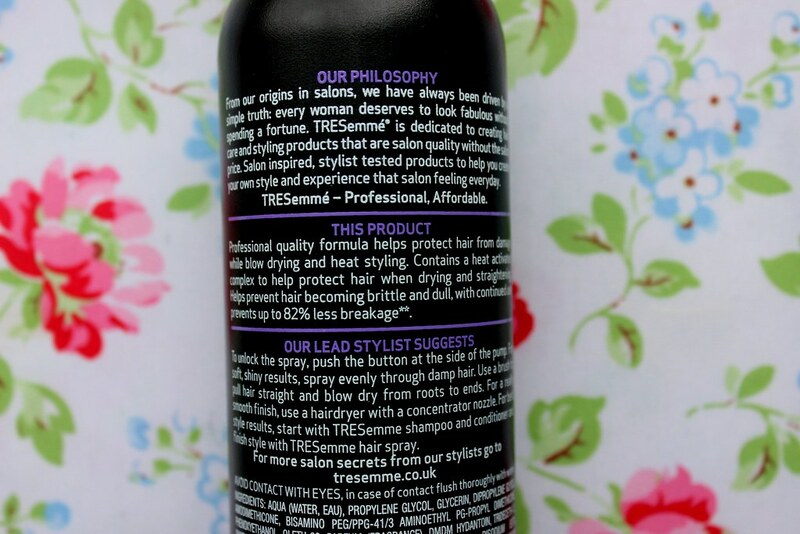 The product claims to "help protect against damage from dryers and heat styling tools" whilst "smoothing frizz and sealing in shine." It protects up to 230 degrees of heat and claims to prevent up to 82% less breakage. My hair habits since five years ago have dramatically changed. I used to wash and dry my hair everyday and use my straighteners regularly. Now I try to wash and dry every other day or longer and I never straighten my hair - only curl, so I use less heat on my hair. 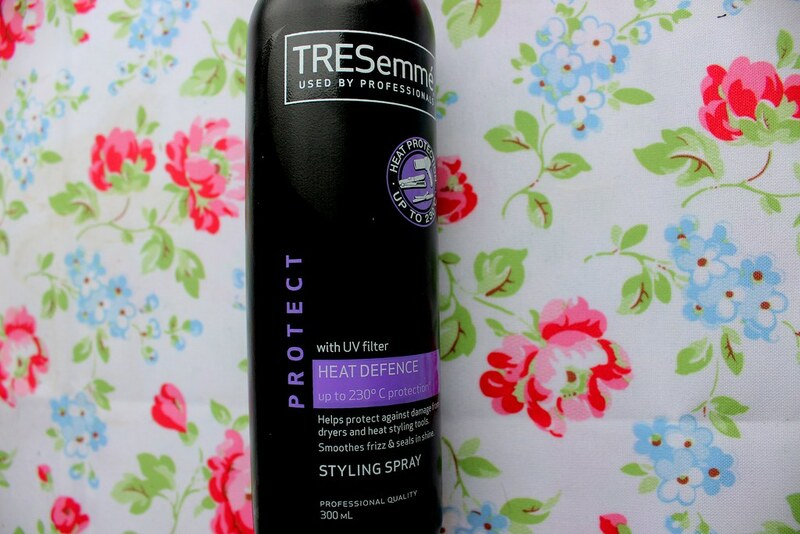 However this Tresemme Heat Defence Styling Spray has worked when I used lots of heat and now when I'm trying to cut back on the heat I use. 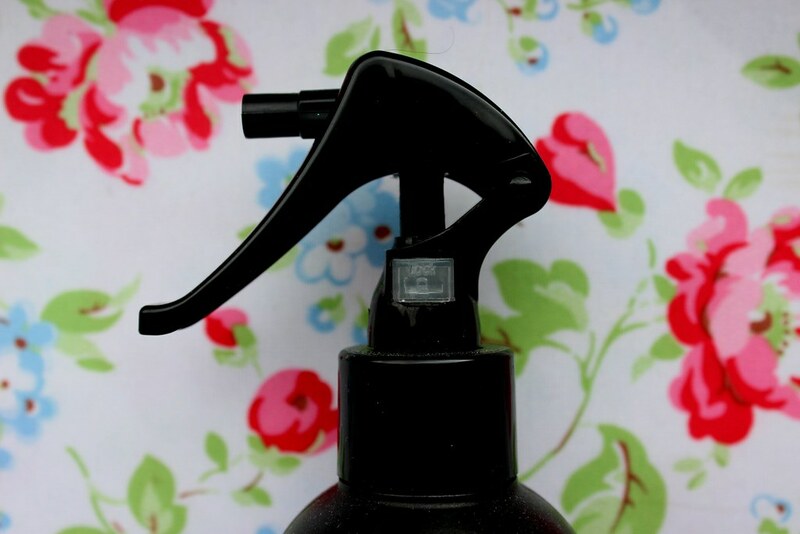 Although the product recommends you spay evenly onto damp hair, I only tend to spray it sparingly on the ends of my hair, where I'm most likely to develop split ends. I give my hair about three sprays on each side of my hair before drying the hair shaft downwards. It leaves me ends feeling healthy and soft without weighing my fine hair down. And because I use a small amount a few times a week, one bottle lasts me such a long time so as far as cost per use goes - it really is value for money. 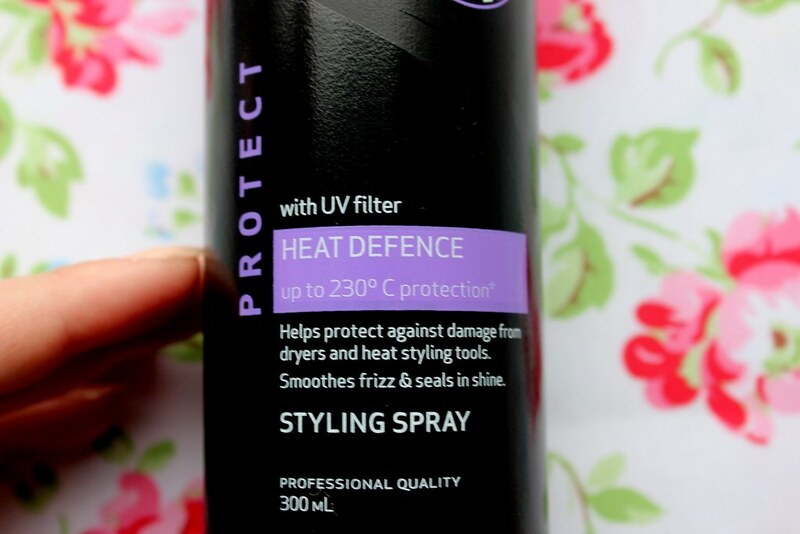 Do you use a heat defence spray on your hair?